Many times when seniors are ill or someone met with an accident and they wish to stay at home and be cared for at home itself rather than seeking care in the hospital. This mean that nursing care and the appropriate medical equipment are needed to help make it more easy and comfortable for them even at home. A high-quality hospital bed is one of those useful items that may on the priority list. The heavy-duty or electric beds are more than just an ordinary ‘patient’s bed’. Today, hospital beds come with additional benefits combined with innovative technology and useful services. These products are suitable not only for day-to-day care, but also for promoting a speedy recovery.In one word, it is the ideal hospital bed for providing efficient care for patients at home. Easy assembly with minimal tools required for set- up. Height range: 18" to 26.5" (46 cm to 67 cm); Overall length88" (224 cm long); 600 lb (272 kg) weight capacity. Better tracking with non-marring material. 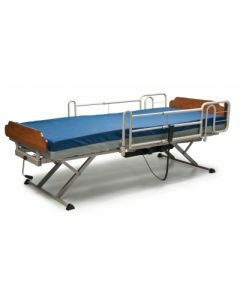 Semi Electric Hospital Bed ( twin 36 x80) 350 weight capacity Head & Foot is Power adjustments Comes in standard rolled foam mattress. When people have to spend an extended period of time in bed, the pressure that their bodies exerts often causes skin tissues to becomes trapped between the bed surface and the bone, causing bed sores and pressure sores. In that case, hospital beds provide an effective solution by helping caregivers to make adjustments to the positioning of the bed, allowing them to lie down comfortably by shifting the pressure from one part of their body to another. 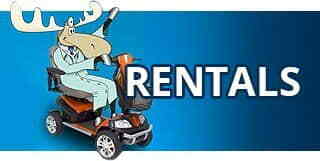 There are companies that offer high-quality hospital bed equipment rental in West Columbia and let users borrow the bed on rent. Affordable Medical Equipment offers a range of healthcare beds for every clinical setting. When used in combination with our wide portfolio of solutions, our beds encourage early mobility and efficient and dignified care. Our high-quality hospital beds allow users to alter and adjust the bed to position their head and feet in a better position. These changes allow easy movement from time to time, thereby improving the patient’s blood circulation while on bed. Hospital bed rentals have become a necessity for people who suffer from conditions that require constant monitoring at the same time caregiver’s convenience. Especially for users who are at risk of falling from the bed or someone with heavy weight- the heavy duty wide beds assist in reducing the risk of fractures due to falls or other issues. While full electric beds are a necessity for some patients. These beds come with universal bed ends, half or full length side rails, and a basic foam mattress. The mattress can be upgraded to user’s comfortable and therapeutic choices for an upcharge. 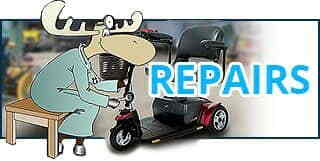 At Affordable Medical Equipment, we rent hospital beds in great condition. The beds undergo a thorough cleaning and sanitation process before being put back in the rental fleet. Considering the customer testimonials, we have chosen to rent out only the most popular and branded hospital beds. The high-quality hospital beds makes it possible for patients to experience easy getting in and out of beds.They have the ability to raise the patient higher or lower as per the user’s choice. Due to this feature, patients can sit up and get out of bed in the position with great ease.